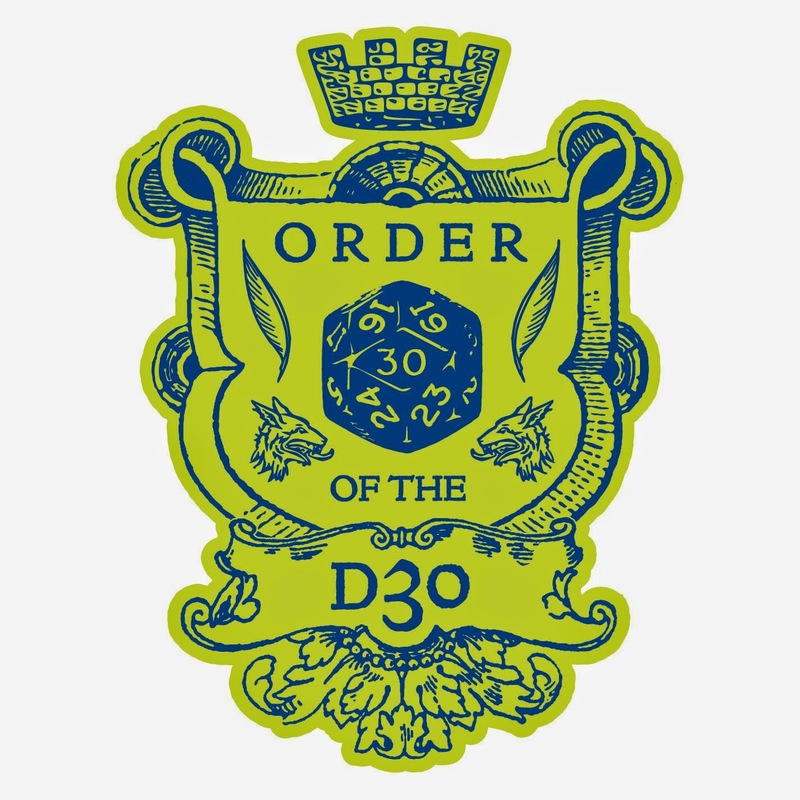 I've been on a roll for new d30 charts since the recent NTRPGCon. Specifically, I've been doing a lot of undead related things, many of which are already in the can and ready to be posted over the coming weeks. Per a vote from G+ last night, today's post is the Ghoul/Ghast Generator (to be followed over the next two weeks by Mummy and Spectre variations). 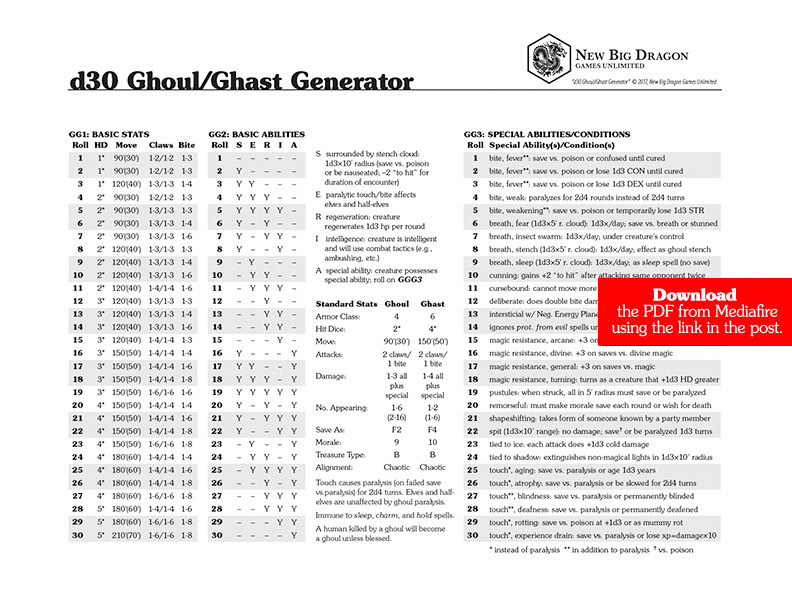 a free PDF of d30 Ghoul/Ghast Generator PDF from MediaFire. This is revised and updated version of a d30 table I created for my Sunday morning d30 game ("The Tomb of Trianta") at the recently-concluded NTRPGCon. 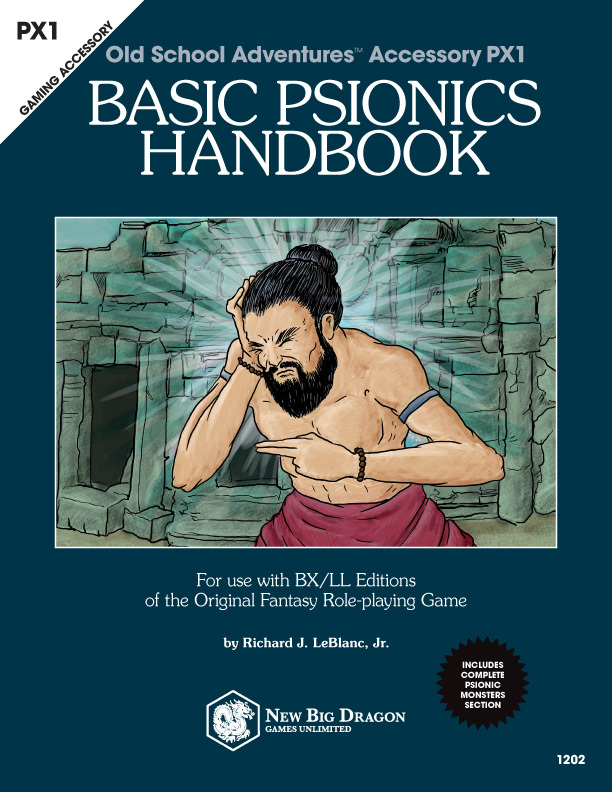 If we'd had more time (e.g., multiple sessions of dungeon crawling vs. a 5-hour convention game time block), and the party didn't have an aberrational eye beast closing in on them from the hallway outside the mausoleum, they would have had more time to go through the 1d30 urns in the room. Instead, they smashed them in waves, releasing and summoning multiple creatures at the same time. 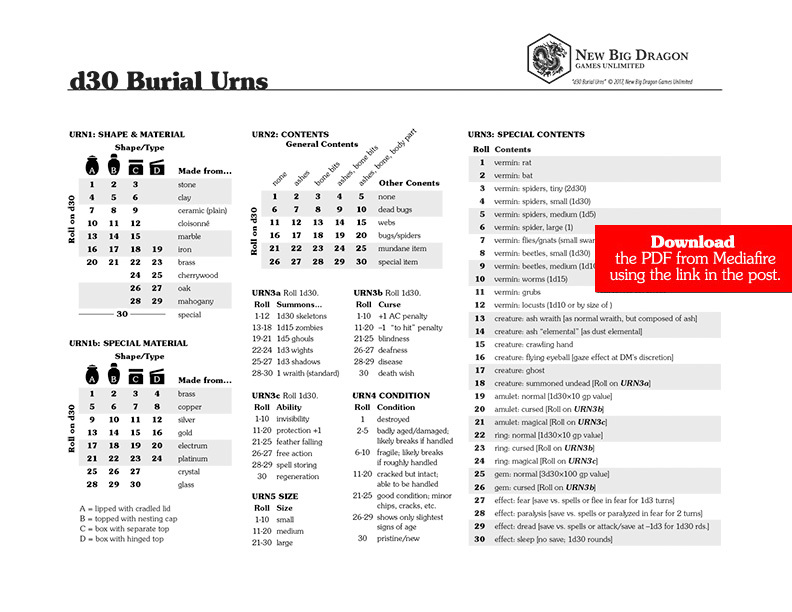 a free PDF of d30 Burial Urns PDF from MediaFire. 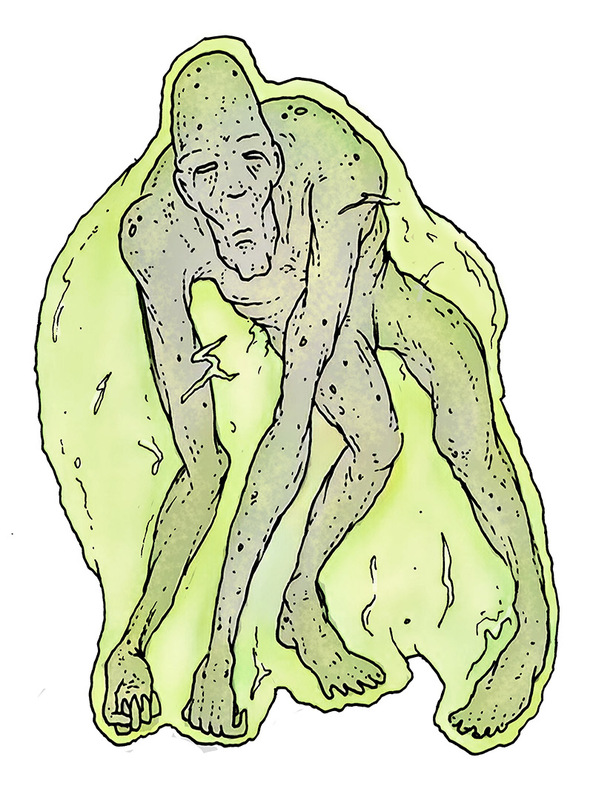 This is another of the creatures from my Fifty Fiends project. Diseased Touch. Although a successful touch attack of a jikibria does no hp damage, there is a possibility it will cause as many as 6 diseases in a victim. The victim gets a saving throw vs. each effect, and contracts all those with failing rolls. 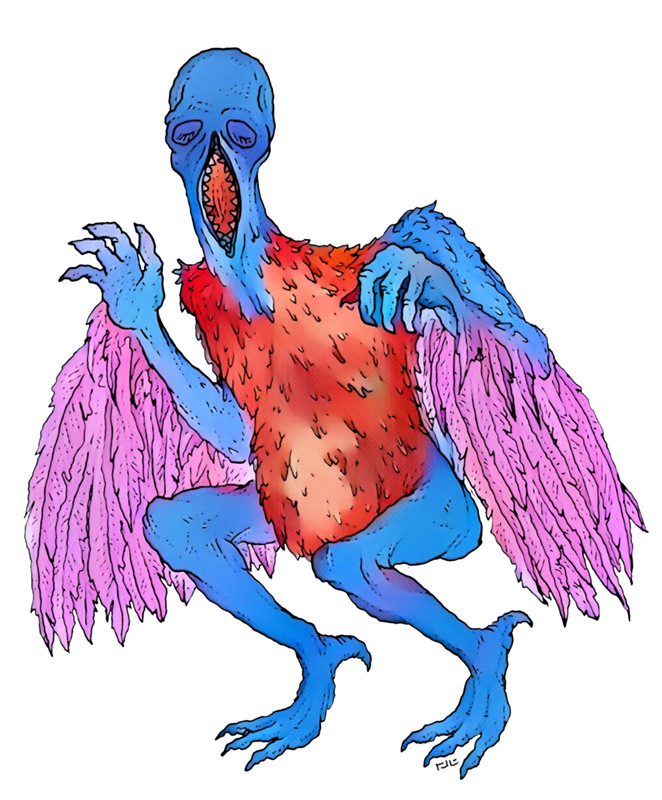 Once a creature has been touched by a jikibria (whether it failed any of its saving throws or not), the creature is immune to the touch of all jikibriae for the remainder of the encounter. A single disease cannot be contracted multiple times (e.g., in future encounters with jikibriae before previously contracted diseases are healed). A single cure disease spell will remove all of the diseases. Once cured, lost ability points are regained at a rate of 1 point per day of full rest. Cause Disease. In lieu of making its touch attacks, a jikibria may use the spell cause disease as a 6th level cleric. This ability is usable as many times per day as the jikibria wishes. Any creature that is currently afflicted by a jikibria’s tuberculosis is immune to this ability. Disease Immunity. Jikibriae are immune to all disease, both of a standard and magical nature. Disease Deflection. In addition to being immune to disease, a jikibria deflects all instances when a disease might otherwise come in contact with it, shirking off the disease magically on a chosen target within a 120' range. This is done as a free action at the moment the jikibria and the disease (or disease effect) come into contact with one another. Targets of the deflection are permitted a save vs. breath to avoid the jikibria’s deflection. If the target fails, it is still permitted any saving throws normally allowed to avoid the original disease or disease effect. Summon. Two times per day, a jikibria may summon 1-2 other jikibriae with a 30% chance of success. Appearance. A jikibria would measure nearly 7' tall, if it were able to stand upright. Instead, the gangly jikibria hobbles at a nearly unbelievable speed. The skin of the hairless jikibria is sickly gray mottled with putrid yellow, and the entire creature is surrounded by a sort of membrane sack that is a nearly-transluscent green. This sack is vestigial and self-healing, and while it provides some protection for the jikibria, it affects neither the jikibria’s Armor Class, nor attacks made against it. Languages. Jikibriae speak abyssal, celestial, and common. This is a d30 table I created for my Sunday morning d30 game ("The Tomb of Trianta") at the recently-concluded NTRPGCon. When each wave of skeletons showed up with different runes on their chests, the party was having to constantly rethink their tactics. Also, because characters were created completely randomly at the beginning of the game, there ended up being no cleric in the party... which ventured into a tomb full of undead. That surely didn't help in what ended up as a TPK when the party faced the boss monster (a vampire and once-matriarch of the Trianta family). 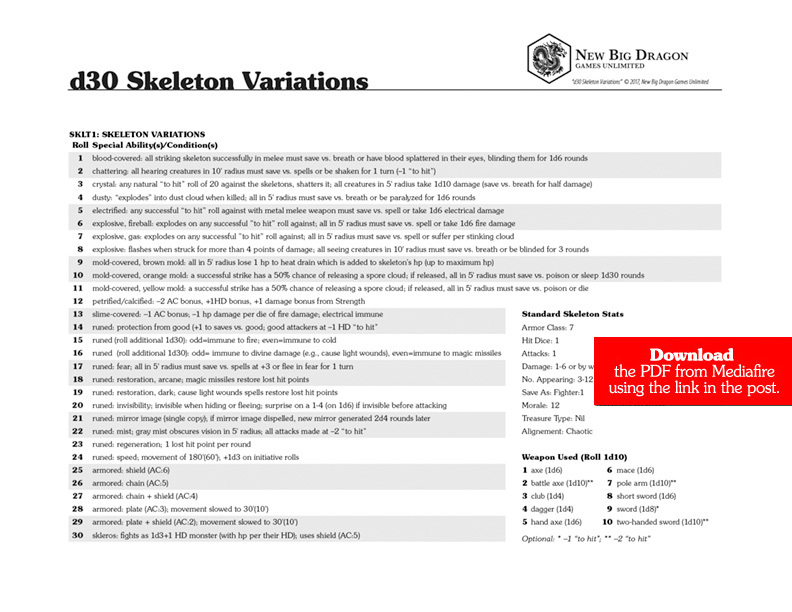 a free PDF of d30 Skeleton Variations PDF from MediaFire.